About the Book: Eighteen-year-old Devi Bennett is surrounded by mysteries: her unknown heritage, a recurring dream about an African tribal ceremony, an inexplicable attachment to a certain tree and a psychic ability she’ll never understand—unless she finds her biological parents. Design Requirement: Modern/youthful/fun, incorporating some primitive/tribal elements to coordinate with the cover. Rust-colored interior details (for readers with color-enabled devices) pick up the warmth of the cover, and the geometric appeal of the chapter headers fits with both the modern setting of the book and its African tribal connection. 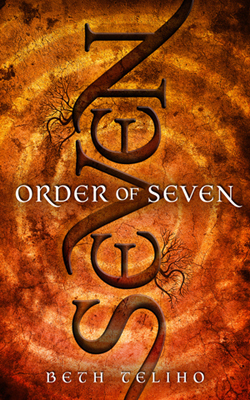 Order of Seven is available at Amazon and Barnes and Noble.